Are you looking for garage gate repair in NYC? 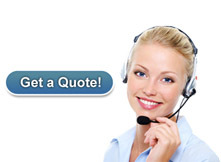 Gate Repair NYC specializes in garage gate repair in NYC. For years, we've helped protect residential and commercial properties with expert garage gate repair services. Our experts are equipped with the knowledge, tools, and expertise to repair your garage gate efficiently and affordably. At Gate Repair NYC, we employ all of our garage gate service technicians, meaning you will receive the same level of service each time you call, with no extra costs. We have built our business as a trustworthy and reliable garage gate repair service, focusing on the needs of our customers and the complete satisfaction during the job and upon completion. Whether for residential or commercial purposes, it is important that your garage gate functions how you need to properly protect your possessions from theft. We rarely think of our garage gate's function until it begins showing signs of malfunction or stops working entirely. A malfunctioning garage gate poses serious risks to your property; leaving you unguarded from trespassing, vandalism, or burglary. When you first notice signs that your garage gate is not performing or does not work smoothly, call Gate Repair NYC for garage gate repair performed without delay. We understand how important it is to have our technicians available to protect your residential or commercial property. At Gate Repair NYC, we are available with 24 hour garage gate repair services to ensure that you receive the service and protection you need 'round the clock. Circumstances may arise where you need emergency garage gate repair performed to alleviate concerns about your building's safety. Our technicians get to your location without delay to deliver prompt gate service and repairs. We work hard to bring you long lasting results whenever you need them. At Gate Repair NYC, we stand behind the quality of work we provide and the trusted brand names we work with. We use materials with the longest warranties in the security industry, giving you the peace-of-mind in knowing that should a problem occur, you are protected with prompt, expert garage gate repair and guaranteed products. Our purpose is to continue to uphold our company's reputation and service, providing our customers with reliable and honest garage gate repair service when you need it. Our garage gate repair technicians are familiar with the boroughs and neighborhoods within New York City. When you call us, we will reach your location and begin working to repair gates without delay. With our fair pricing and expert service methods and standards, you will receive quality garage gate repair that leaves your property protected and you satisfied. There are numerous ways Rolling Gate NY can help you secure your business. Here are just some of the many applications we can secure. 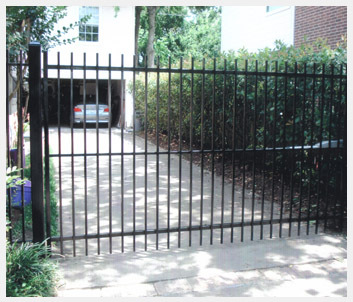 For more information about garage gate repair in NYC, call Gate Repair NYC at (888) 886-4733.